Unlike every other concert I've been to ever since I moved to the Seattle area, this one was actually in Seattle. More than that, you might even say it was in the very heart of it. If you ever see a movie located in Seattle in which the director needed a generic shot of the city, the first shot is always going to be the Space Needle. I was at the second shot, which is that iconic pink neon sign that reads “Public Market Center” and its accompanying analog clock. When I was still a Kansas resident and still in high school (with a lusciously thick head of hair), I visited Seattle on Spring Break and I remember vividly going to the Market. However, ever since I've become a permanent resident of the area, I never even once felt the draw to go back. After all, heavy city traffic amongst the city's rows of skyscrapers and buildings with silly shapes annoys the hell out of me. I also don't get the point of driving 40 minutes just to buy produce and silly knickknacks. Perhaps more importantly than that—and I hope I'm not alone about this—but downtown Seattle gives me the willies. You might say that shows I'm way too comfortable with suburban living, and I'll be the first to say you'd be correct about that. 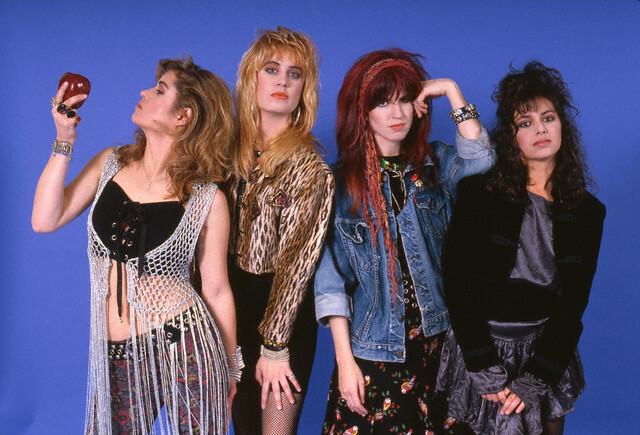 What I don't understand is what The Bangles were doing there in the first place. I mean, The Showbox at The Market is where all those hipster acts play! I mean, the venue doesn't even have regular seating; the audience is expected to crowd around right in front of the stage, like those pictures of chickens in crowded coops I see in those PETA ads. I mean, aren't The Bangles' core audience supposed to be over-the-hill? And aren't over-the-hill people supposed to have deteriorating knees? I mean, I'm 28 and even I could hardly manage to remain standing for four hours straight. This has me wondering: when you reach 35, are people in this country approached by government agents who offer to turn you into a cyborg with steel-clad knee caps? That's the only reasonable explanation for this. Also, it would also explain varicose veins, which I think look more like hydraulic fluid than blood. Anyway, I arrived way, way, way too early to the event, which seems to be my standard because I always expect to get horribly lost. I thought there would be a place at the venue where I could stand in line or sit for awhile; however, all I could see was a rather tiny and incredibly crowded bar at the front of the club. Permeating through the walls, I heard “Walk Like an Egyptian” being performed, and I figured that must've been The Bangles warming up. (Do most bands really warm up before shows?) Well, I wasn't going to stick around in that crowded bar, so I decided to try to keep my creeps inside me and venture out to this world-famous Market that people all 'round the world visit just to visit. Well, I managed to burn all of forty minutes walking around that place; but after I walked pretty much anywhere within the concert's vicinity that had lights, I realized I didn't want to keep going in circles lest I double back on these characters. So, I didn't have much choice but to retreat back to the parking garage and sit in my car for 30 minutes. As I stood in line, I definitely found the hobos more amusing. One verrry scraggly and very spirited white-haired man was trying to sell make-out lessons. There was an extra fee if you wanted him to put his teeth in. As expected, no one I could see literally took him up on the offer; however, the idea was silly enough that people threw a few dollars into the collection hat he had laying in front of him. There was another guy walking down the queue trying to sell—as he put it—high-LARious jokes. I resisted making eye-contact with him lest he mistake eye-contact as interest in buying a high-LARious joke. At another point I noticed about three people in their late-teens/early-20s walking on top of an eave of a building across the street. After a few minutes, two of them had already retreated back through a window; however, the man who remained started to sing a Broadway-ish song that I didn't recognize, and he attempted to get people on the street to cheer for him. He got a few cheers, but his escapade didn't last much longer than 30 seconds since I'd imagine it wasn't legal for him to be up there. I was standing in that queue for a LONG, LONG time when the venue operators finally got around to letting people in. I thought the show was supposed to start at 7 p.m., but it was 7:15 before the line started moving. When I made it inside the doors of the venue, I showed a beefy bouncer my ID who studied my face quite carefully having to make 100% sure that me and my horribly balding scalp didn't actually belong to a 20-year-old. Then, a tattooed waif stamped the back of my wrist with the word “Boo!” written in cartoon letters. This was five days after Halloween, but I suppose that's consistent enough with hipsters' stereotypical habit of being fashionably late. I was not near the front of that queue outside the venue whatsoever, but I noticed something pretty enticing when I went inside the concert room: there was hardly anyone standing directly in front of that stage! Almost all the seats and tables in back were taken, however, which shows that those are the prizes most people seek after for standing in queue for so long. For sure, considering my legs were already tired from standing outside, I also wouldn't have minded sitting in one of those chairs! However, would I then spend my life regretting that I didn't stand right next to the stage for a Bangles concert? Probably not, but I did it anyway!!! I took a spot at the side of the stage, standing next to a very beefy middle aged guy who—based on his side-profile—looked exactly like Jason Alexander. However, I soon after a good face-to-face look and decided to change that to John Rhys-Davies as he appeared on Sliders. Also nearby, I saw two (count 'em two) people who were near doppelgangers for my high school English teacher from 10 years ago. I don't think they knew each other since they were standing far away from one another. Could I have been freaking out? When I was walking through the Market, I'm pretty sure I inadvertently breathed in a few sour whiffs of someone smoking pot, so maybe I was. Because of the sound mixing, most of A Fragile Tomorrow's songs came off rather like a blur. However, according to the studio versions of their songs that I listened to once I got home, they can be classified as jangle-pop, which I suppose means they were an appropriate opening act for The Bangles. Are any of their songs very distinctive? Not really, but they're all quite nice. ...And, they were all smiling the whole time, so you can't really hate them! If I may put on my “critic” hat for a bit, one of their mistakes, as they even admitted with eyes a-glowin' on stage, is that they aspire to Indigo Girls. Isn't that like a budding restauranteur aspiring to The Hard Rock Cafe? I mean, if you wanted to be hip, you could aspire to Indigo Girls, but they're so freakin' middle-of-the-road. At one point, A Fragile Tomorrow played a newly written song they said was done in Indigo Girls' style, but they said they hoped they didn't copy it too closely. ...I don't want to be mean, but how is it even possible to copy Indigo Girls' style? I mean, they pretty much sound like everybody else. Am I wrong? At the very least, I think a budding band should aspire to something greater than a C-level act at best. ...Just my two cents. So anyway, A Fragile Tomorrow proved to be quite a fitful way to rouse the audience; they were very energetic, seemed happy, and I'll even give them a few props for having some songs with involved chord changes. During one of their better numbers, I kept on thinking they were on the verge of breaking into the chorus of Jewel's “You Were Meant For Me.” If it did, it wouldn't have been terribly off-track for them, since that song is way better than anything I've heard by Indigo Girls! (...Alright, I'll stop slagging them off now.) A Fragile Tomorrow concluded their set with a very flashy finish featuring a load of power chords and even more loads of jumping up and down. I then glanced at the clock on my cellphone and noticed that it was nearly nine o'clock. According to the venue's website, the concert was supposed to be finished by 10 p.m.! Were The Bangles only going to play for a half an hour? I've never been to a concert at a hipster venue, I considered that an actual possibility. ...Well, the concert ended at 10:50 p.m., so I had no need to worry. There's the benefit of hindsight. What made the concert especially endearing was that the band was very jovial with one another on stage, always looking like they were doing exactly what they wanted to be doing. They also poked fun at themselves a few times during the show for being “old,” which was met with a few encouraging calls as well as someone yelling out “You're still beautiful!” But you couldn't convince me that Hoffs didn't know how hot she was. flailing her long, silky hair all over the place during the show. I had a brief fantasy of having a conversation with her, and what first popped in my mind to say to her was: “You should be in a shampoo commercial!” ...I'm still single, ladies. They'd also reminisced how obsessed they were with the '60s when they made those iconic '80s albums. After that, they covered Emitt Rhodes' “Live” and Big Star's “September Gurls.” (Big Star came about in the '70s, but that band was retro-'60s before that was cool!) For some reason, I randomly put “September Gurls” on a mix a rather long time ago, so hearing them sing that song brought back memories. ...Of course those memories were not as deep as I'm sure as most people who actually remembered The Bangles back in the '80s! But anyway, they picked a few great songs to cover from then-obscure bands that now—thanks partly to them—got some real respect in the '90s. They also played “The Rain Song” which originated from Vicki Peterson's '90s band The Continental Drifters. However, it also appeared on The Bangles' 2003 album The Doll Revolution. It's not as catchy as most of The Bangles' big hits, but it's very enjoyable guitar-rock. An unusual disruption occurred in the middle of the show when a stereotypically drunk man and his fat girlfriend elbowed their way right to the front of the stage and started causing a commotion. They were dancing rather violently, swinging their arms so widely that they were hitting pretty much everyone around them. After The Bangles stopped playing one of their songs, the guy yelled out at them: “Play 'Walk Like an Egyptian! '” Vicki Peterson sort of rolled her eyes and said: “We'll get to that. ...Believe me, we'll get to that.” (Seriously, even if I were passed-out drunk, I'd figure a band would play their most famous song!) The drunk guy was getting so obnoxious that, at one point, John Rhys-Davies had enough of it and stopped his silly dancing completely to stick a reprimanding finger right in that guy's face and yell something at him that I couldn't make out. The drunkard responded to that with a comically slurred voice “Yeah, I've heard that one before, buddy!” It wasn't too long thereafter a bouncer showed up, grabbed the guy by the ear (yeouch and I'm not joking), and dragged them away. A small eruption of cheers ensued. Aren't these concerts fun? The audience members always seem to provide an extra layer of entertainment for me... But anyway, back to the concert. Debbi Peterson (the drummer) was on her platform on-high most of the time. While she was there, she did take lead vocals for “Ball and Chain,” which is one of their new songs, and that's a very good guitar-rock song. However, there were a number of occasions when she came down and sang in front of the stage while playing a guitar, notably with “Going Down to Liverpool,” and the keyboardist (who looked like—and this is the best way I can put it—a weird uncle of John Oliver from The Daily Show) took over the drumming duties. There were a couple other songs (“Eternal Flame” and “Walk Like an Egyptian”) that didn't really require a drummer, so she also played in front of the stage for those. I'm also sure The Bangles have first-hand knowledge of the decline of cigarette use over the years; I saw only two people holding up cigarette lighters during “Eternal Flame.” I'm sure I would have seen dozens if it were 1988. Why couldn't my parents have taken me to Bangles concerts when I was six? I think they thought rock music was going to rot my brain. ...Well, they might have been right about that. ...I've had “Walk Like an Egyptian” stuck in my head all week thanks to this concert. I do suppose that's their best song—if you want to get “technical” about it. However, that was actually a song given them to sing from the studio and thus it isn't 100 percent true to their spirit. “Hero Takes a Fall,” on the other hand, has everything that a Bangles song is supposed to have: Catchy melody, catchier chorus, bubbly bass guitar, a snarling but poppy lead guitar. I wanted to hear them play that song the most, and there was really no doubt I'd get my wish. (I mean, they don't exactly have an extensive enough of a back catalog to ignore it!) And the inevitable moment I heard it LIVE was my idea of music-nerd bliss. I still don't dance (remember, I had to keep that woman from accidentally sucker punching me); however, my body was nonetheless a-swaying. That also prompts me to say that they are an excellent live band. I mean, you know these girls did everything for themselves, right? They had some supporting, non-members on bass, keyboards, and miscellaneous percussion, but never was the spotlight taken off those stars of the show. They also had quite a lot of stage personality that were very infectious: Vicki Peterson was sassy, Susanna Hoffs was sly, and Debbi Peterson was a bit loopy. All three 100% entertaining. (I don't know what Michael Steele was. Based on the videos, she seems rather... um... stern.) The Bangles were an excellent studio band, but they were equally as excellent live.